If you’re a first time parent, there is almost no way to prepare for the early days of sleep-deprived stupor. Perhaps this isn’t your first, but you blocked out the experience with your previous children. Most new parents encounter some period where they are getting by on very little sleep. 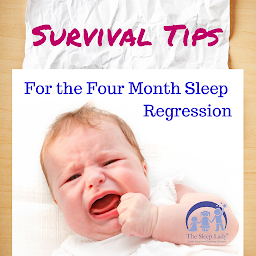 Anyone who has ever sleep trained their little one will tell you how important and sanity-saving it is, but they may also share that the process can be a little — or in some cases a lot — daunting. Yes, there are plenty of baby sleep books — I even wrote one of them. There are also many reasons to hire a trained sleep coach to work with you one-on-one. Here are five of the most common reasons a family might benefit from hiring a baby sleep coach. Of course your child is special! We’re referring to the individual challenges your baby might have that are getting in the way of sleep. First you should consider age; sleep coaching for nights and naps is recommended for babies who are at least six months old. He or she may have health, special needs, or personality concerns that make the job more challenging. Believe it or not, temperament plays heavily into this. It’s not unusual for alert, bright, and aware children to have slightly disrupted sleep. These children may hit developmental milestones early and can be very persistent, but they also tend to need a little more sleep than most. A certified sleep coach can help you decide when to start gentle sleep coaching and suggest custom strategies for your baby or child to learn the skill of putting themselves to sleep. Family dynamics can be especially sensitive and require extra consideration. You may have done research on a sleep solution, but books often don’t talk about how to incorporate things like long work hours, a complicated childcare situation, or siblings who also need dedicated time settling for bed. A certified sleep coach will weave your individualized systems, schedules, goals, and preferences into a plan that will work for you. You want to cut to the chase as quickly as possible. Maybe you have a demanding job. Perhaps you have four other children and a husband who travels for work, or you’re caring for an aging loved one. Whatever your reason, you are stretched to the max without a moment to spare for anything. Reading a sleep book isn’t an option, and you need a solution, pronto. It’s hard to teach a baby to sleep when you aren’t! Hiring a baby sleep coach can help the whole family. If there are no vacations, illness, parents returning to work, or other major disruptions, most sleep coaching programs with a certified sleep coach take a few weeks to complete. They’ll help you quickly determine what works and what doesn’t. You won’t have to spend too much of your valuable time on trial and error. Let’s face it. There’s a lot of information on this topic. You’ve probably been inundated with books, blog articles, advice from your friends and relatives, online forums, and even healthcare providers. While all of them are very well-intentioned, you need to consider the source. Is the information based on research and evidence, or is it just from personal experience with a dash of old wives’ tale thrown in for good measure? A trained and certified sleep coach has research-based education on the topic and is up-to-date on current pediatric sleep recommendations, standards, and best practices. A baby sleep coach will spend time educating you and your family on sleep and answering your specific questions so you don’t have to sort through outdated or irrelevant information. A well-trained coach will also know when to refer you back to your healthcare provider to rule out an underlying medical condition that may be causing or contributing to your child’s sleep problem. Hiring a sleep coach is similar to hiring a personal trainer. You may already know what you need to do to be successful, but having someone objective to come on the journey with you — to help identify goals, support your progress and celebrate your wins — will help you achieve results faster and with confidence. Additionally, your goals may change. A certified sleep coach can help you tweak your direction and plan in real time. If you’d like to know more about hiring a certified sleep coach, the best thing to do is to talk to one. Find a coach near you, or you can get help now through our online resource, The Gentle Sleep and Parenting Center. Gretchen Fitzgerald is a certified Gentle Sleep Coach (GSC) and owner of Little Sheep Counters. She lives with her two young daughters and husband in the Philadelphia suburbs. Before becoming a mother, Gretchen earned a bachelor’s degree from Temple University and worked in marketing communications for several well-known corporations. She considers her second career as a GSC both a gift and a calling, because she also struggled to find a way to help her girls learn to sleep better. With a passion for helping others and an empathetic ear, Gretchen is deeply invested in the success of each of her clients. Find her online at www.facebook.com/littlesheepcounters or www.littlesheepcounters.com.